The Bainbridge Island Parks Foundation (BIPF) enjoyed a productive 2018, leveraging island resources and talent to support our outstanding network of parks, trails and recreation programs. 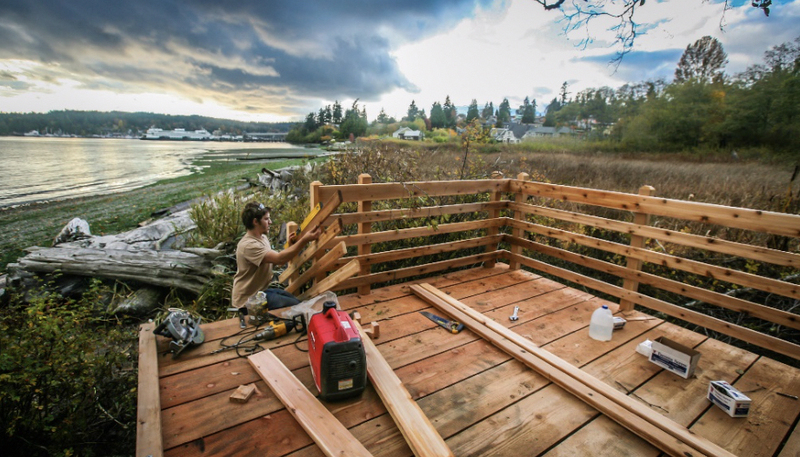 Our grants, funded by island donors, helped the Island’s Metro Park District complete two major capital projects, the new dock at Hidden Cove Park and the Hawley Cove Boardwalks. We provided funding and advocacy for the development of five new trails, and environmental restoration work at Blakely Harbor Park, Moritani Preserve, the Grand Forest and many other areas. Community grants from BIPF supported such recreational activities as youth diving at the Nakata Pool and beach volleyball at Fay Bainbridge. You can volunteer at an environmental work party, such as the Martin Luther King Jr Day of Service at Blakely Harbor Park on January 21stfrom 10 AM to noon. Visit our website at biparksfoundation.org to learn more about more opportunities to support the parks and trails you treasure.